Heart Cupcake Toppers - Red Glitter - First Birthday Party. Bridal Shower Decor. Wedding Cupcakes. Anniversary. Valentines Day. 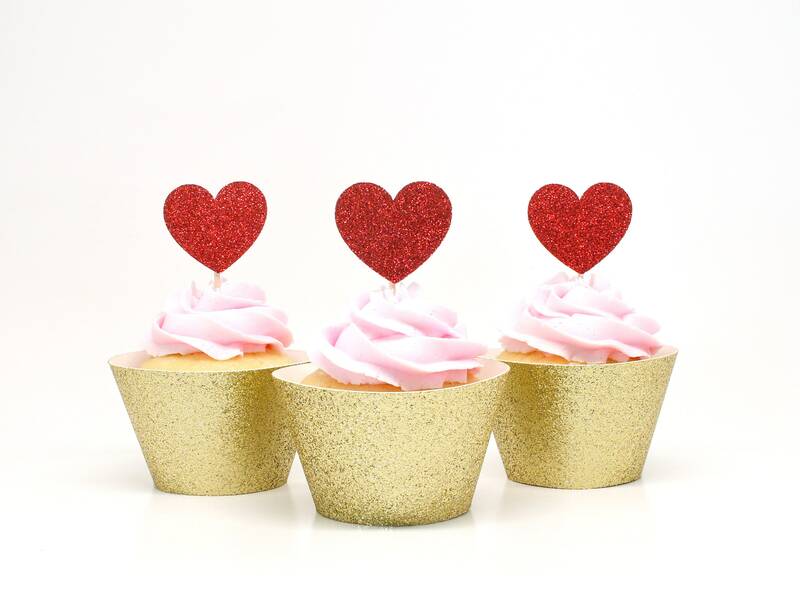 These red glitter heart cupcake toppers are perfect for weddings, baby showers, bridal showers, birthdays, or as decoration for any party! Looked pretty, but Two hearts cracked in half during shipping. Luckily I had super glue available to fix it. That being said...I feel I could've made these myself as the toothpicks were simply superglued to a small glittered heart. Maybe place a second heart on the back that way there isn't a blob of glue showing on the reverse side.